Well, it is your memory that retains whatever you see, hear, and read! And the syllabus prescribed by the UPSC exam forms no exception. However, the syllabus you must prepare for to crack the UPSC exam is in immense detail. thus, to your dismay, you may find that the syllabus prescribed by UPSC is vaster than what you might have perceived of initially! And that’s not all! After having overcome your nervousness (most of the candidates are likely to feel so) after having discovered that UPSC wants you to read a lot more than you might have thought of, your next instinct is very likely to be your best at managing your time. Like everybody on the planet Earth, you too, get 24 hours in a day. So you must make a time table and stick to it to read all the topics for all the subjects to crack all the Papers that are encompassed by the UPSC exam. So you make a time table. Stick to it. Follow the UPSC syllabus in letter and spirit. Well, then, what is the problem? 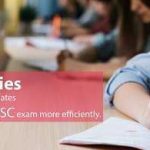 You would soon discover for yourself (as a vast majority of the candidates aspiring to crack the UPSC exam does) that by the time you have finished reading the next topic, you have forgotten most of what you had studied concerning the previous one! So, the root of the problem does not lie in your lack of preparation, but the failure to remember what you have been studying. In other words, you are required to sharpen your memory. As already said above, studying is far from being sufficient. What you require is retaining whatever relevant points (and the inter-related facts and details, of course) you read in your memory. Most of us cannot retain in our memory whatever we read. We are likely to forget eventually. And a candidate aspiring to crack the UPSC exam forms no exception. But after how long do we forget whatever we read or even studied? Well, the time span varies from one person to another. So, as the Ebbinghaus Forgetting Curve presents it, most of us are likely to remember 100% of whatever information we acquire immediately after having read it. However, as the time goes by, the information that we have thus gained begins to get washed out of our memory in a gradual manner. 42% of whatever information we gain is washed out of the memory after the lapse of 20 minutes. As the time goes by, human memory loses 67% of the information within 24 hours. And after a month, only 21% of the original information is retained in the memory. So even if you think that you do have a good memory, you must sharpen it further for you aim at cracking the UPSC exam. Learning interactively makes the entire process fun instead of turning it into a monotonous activity. When a task gets dull and boring, most the people would not like to spare even a thought for it, let alone keeping it alive in the mind. It is bound to result in a quick forgetfulness about the dull, monotonous boring activity that you have been indulging in. And preparation for UPSC exam is not going to form an exception unless and until you make the same interesting enough to the extent that you want to look forward to it, the first thing soon after the morning rituals are over. In other words, interactive learning by means of using the tools for the same as listed above makes more of sense as it makes learning an interesting process and thus helps you retain whatever you study for longer time in your memory. Make revisions as frequently as you can. It would help you retain information in your memory much longer than you might have could do otherwise. Opting for group studies and helping the group members understand the subject better by solving their queries and vice versa helps you visualize a topic and/or subject through different perspectives and sharpen the memory. It is advisable to take little breaks in between your study sessions, thus keeping them brief. Human attention gets diverted after some time. So when you feel that you simply cannot concentrate any more, it is advisable to take a break and then continue after some time rather than forcing yourself to keep studying for it will not only make the task boring, but you will also not be able to retain the information thus gained in your memory for a considerable period. Thus, a brief study session is more likely to be qualitative, making the studies not only interesting, but also ensuring a good focus and concentration that would help the memory retain the information thus gained for longer spans of time. Mnemonics refers to the study of the methods and/or techniques that helps one remember the information gained by various means with ease. Mnemonics including abbreviations and/or acronyms may help remember various pieces of information with ease and for longer spans of time. You may assess yourself in one of the best possible ways. So you may introspect yourself by quizzing yourself to find out where do you must make a little more of the efforts. Thus self quiz provides you with a fair share of the idea of your strengths as well as weaknesses. How to write an Effective Essay in IAS Exam? Well employed reading techniques are considered among the best of the means to sharpen the memory. It is advisable to read the content for a topic/subject/book three times to retain the information thus gained for the longest possible spans of time in your memory. While making the first reading, it is advisable to read the content in a relaxed manner without forcing yourself to read the same as a candidate who aims at cracking the UPSC exam. Just go through the entire content as if you have been reading a novel! Just as one reads a novel, he gets into the flow of the book as the story unfolds itself. Similarly, when you allow yourself to go with the flow of the reading, you are more likely to grasp and retain well in your memory what the study material you have opted for reading, be it a book or a newspaper or whatever you are reading. As already said above, it is advisable to read the study material in a relaxed manner (just as you read a novel) when make the reading for the first reading. Now that the first reading is over, the actual preparation for the exam begins with the second reading. Now go through the content chapter by chapter. After having finished each of the chapters, try to recall what you have read. If you can’t recall all the details, it is advisable to read the chapter again. Repeat the process for all the chapters. After you have finished reading, say the entire book, try to recall all the prominent details. And re-read all the facts that you feel you don’t remember well. Make use of graphics e.g., bar charts, pie charts, graphs, diagrams, etc. Wishing you happy readings with the sharpest of the sharp memory to crack the UPSC exam!